The Salvation Army has published "A New Journey" - a resource guide that presents a succinct set of Issues and Reflections for the 2008 Parliamentary Elections. The latest Social Report 2008 published by MSD is now available on their website. 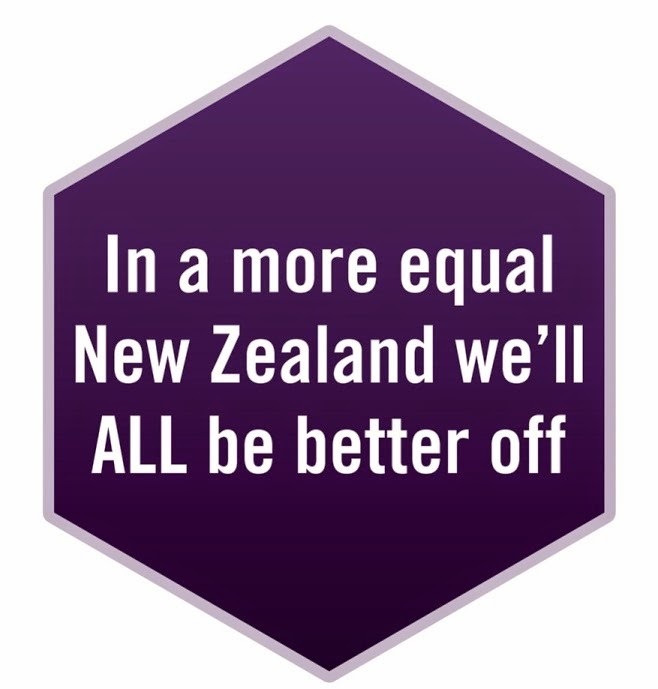 The section of most relevance to NZCCSS work is on Economic Standard of Living and includes information on incomes, income inequality, low income, housing affordability and household overcrowding. This section is 10 pages long and well worth a read. Whilst some of the information has already been well publicised in press releases (e.g the narrowing in incomes disparities and the decline in child poverty) there were some other more surprising statistics. For example the proportion of single people aged under 65 years who live in poverty has not declined since the mid 90s but remained at 30%. The Statistical Report 2007 (the latest report) is also now available electronically from the MSD website. The report describes in detail the employment services and financial assistance provided by Work and Income and trends over the past five years. And don't forget the available information in the June release of the DHB Maps and Background Information from the Atlas of Socio-economic Deprivation in NZDep 2006. the Atlas can be found on the Ministry of Health website. The maps highlight the most deprived areas with DHB areas and within NZ. The risk of elder abuse was highlighted in an excellent story in the Herald on Sunday (Is your future in safe hands? and Confused amid relics of the past, 31 August). One focus of the story was Faatupu McCarthy, the resident of an uninsulated Housing New Zealand tenement flat in Grey Lynn who, the report said, had "seemed to have fallen through the cracks". In part the story reads: "Her Housing New Zealand officer knew of her living conditions and neighbours' concerns, but it was only after the Herald on Sunday contacted the department and the district health board that concerted moves were made to get McCarthy the support to which she's entitled. Tui says she's been bumped up the queue for a single-storey flat. McCarthy's case doesn't surprise Emsie Walters, of Age Concern in Auckland. She sees compulsive hoarding, self-neglect, people living alone - lonely or depressed - and people who become victims of neglect or abuse, usually at the hands of family members. As family, friends and neighbours are increasingly being relied on to meet the gaps between home help and Meals on Wheels, experts predict elder abuse to become more widespread". Click on the links to read the full stories. What influences retirement decisions? was the research topic for Judith Davey, Senior Research Associate at Victoria University in the March 2008 Social Policy Journal. Also in the same issue of this Journal is an article called Quality of Life is ...the Views of Older Recipients of Low Level Home Support. Six themes emerge from how these elders talk about and define what quality of life means to them: good people, day-to-day life, keeping healthy, living with loss, at my age, and the future. Age Concern's Policy team recently completed a major submission on the Proposed Retirement Villages Code of Practice 2008 to the Department of Building and Housing and the Retirement Commissioner. The submission was prepared in collaboration with Grey Power and endorsed by the NZRSA. Age Concern want to see the code provide the best possible protection to all residents. If you would like to have input on a submission being prepared by Elizabeth Rowe on the role of local government in improving social wellbeing in Auckland you are invited to a meeting with other social services representatives on Thursday 11 September 2008 from 9.30 am - 11.00 am. This research will contribute to the Royal Commission on Auckland Governance. The meetings are to be held at the Government Social Sector Office, Level 2, Tower Centre, 45 Queen Street (cnr Queen and Customs Street West) Auckland. We do hope you are able to attend the meeting and share your knowledge and experience. Please RSVP to Gaye Ingold at gaye.ingold@royalcommission.govt.nz or telephone 09 365 2743 by Friday 5 September 2008. If you are unable to come, we would be interested in your response to these questions. You may email them to Gaye. For those of you in Wellington this weekend (Sept 6-7) don't forget to visit the ASB Arena for the Downtown Community Ministry bookfair.